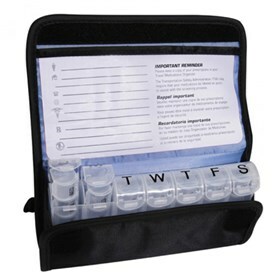 The Travelon 22249500 is a 7-Day Pill Planner that organizes pills for 7 days, morning, noon, evening & bedtime per day. 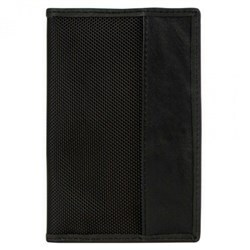 This planner includes an insert card for personal information. 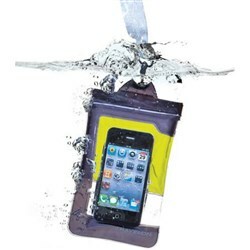 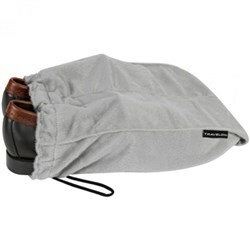 It has a Nylon case with front zippered pocket and spring loaded organizer which makes easy accessing. 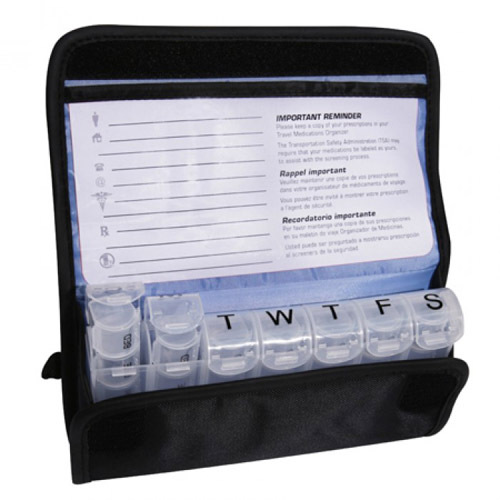 The Travelon 7-Days Pill Planner - Black has many exciting features for users of all types. 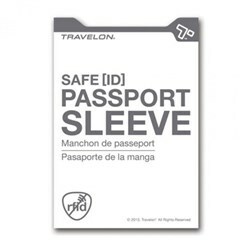 You can extend the lifetime of your Travelon 7-Days Pill Planner - Black with the purchase of a FactoryOutletStore Factory Protection Plan. 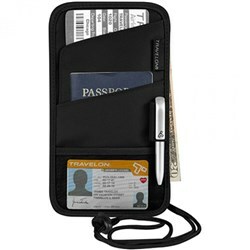 See the Travelon 7-Days Pill Planner - Black gallery images above for more product views. 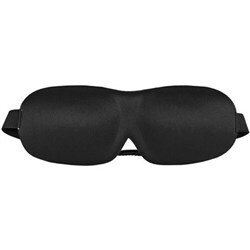 FactoryOutletStore stocks a full line of accessories like Boarding Pass Holder, Eye Mask, and Safe ID Classic Passport Case for the Travelon 7-Days Pill Planner - Black. 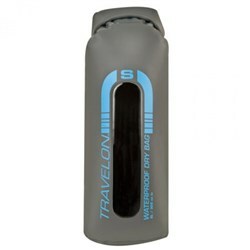 The Travelon 7-Days Pill Planner - Black is sold as a Brand New Unopened Item.